This year marked the 4th year that Monica Benoit has loaned her outdoor Christmas lights display to the Rotary Club of Grenada for its signature holiday event, Carols by Candlelight which was held on Sunday, 2 December. Following the event, the club announced that the magical lights display will remain lit at Quarantine Point Recreational Park throughout the Christmas season, unlike previous years where they were taken down immediately after the event. For the 50th anniversary of Rotary in Grenada and the staging of the 10th annual Carols by Candlelight, the display was extended in scope over the 13 acres of Quarantine Park and included musical displays, suspended icicle lights, tree lights and lit blown-up displays. For 11 years, Monica Benoit, now 94, lit up her estate near the Sugar Mill roundabout in a manner that became a national symbol and holiday feature that attracted visitors by the busloads from far and wide. She opened her private grounds to the public as though it were a national park for all to enjoy. So expansive and popular was the display, that both Grenlec and the government supported her efforts by providing concessions in order for her to increase and continue the lighting display so loved by many. In 2011 the Benoit family suspended the display due to main electrical cables being stolen which rendered the lights inoperable. 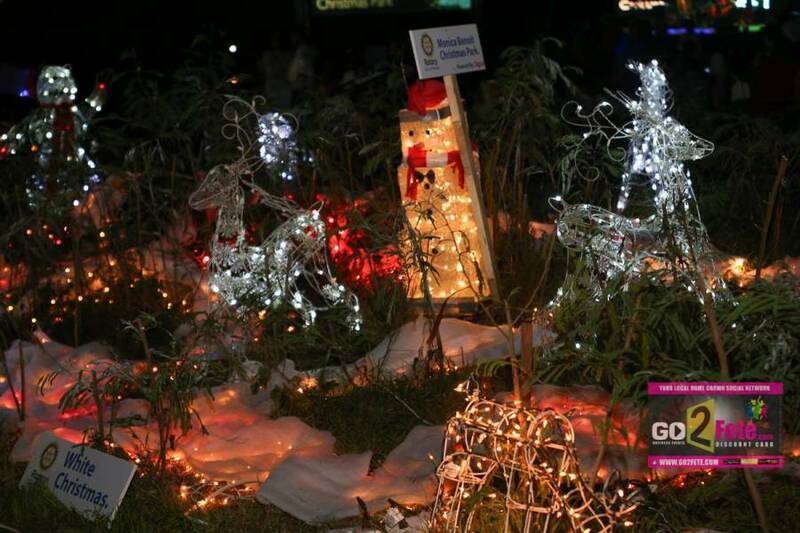 Nevertheless, in 2015, the Benoit family loaned the light display to the Rotary Club of Grenada for use at Quarantine Point Recreational Park for the staging of Carols by Candlelight, a tradition that continues to date. Joan Ashby, daughter of Monica Benoit said, since early October the Benoit family have been supervising the layout of the lights at Quarantine Point Park and are very excited about sharing the lights and continuing their matriarch’s legacy of community service. “We are so thrilled that our Mum’s goal of sharing the beauty and magic of Christmas continues to be achieved and become accessible to an even wider cross-section of the public,” she stated during a visit to the park last week. Mrs Benoit and her family attend every Carols by Candlelight event and this year was no exception. The club will soon announce a schedule of events to be held at Quarantine Point Recreational Park leading into Christmas. This is a real grenadian patriot. May God continue to bless her with health and long life so she can continue to attend many more of these candlelight events.